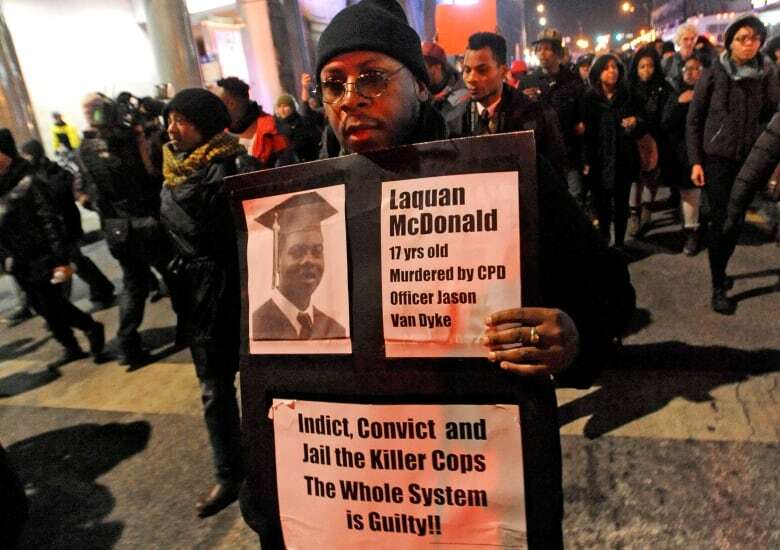 Jurors found a Chicago police officer guilty on several charges in the fatal shooting of teenager Laquan McDonald including second-degree murder, in a case that sparked protests and allegations of racial bias in law enforcement. 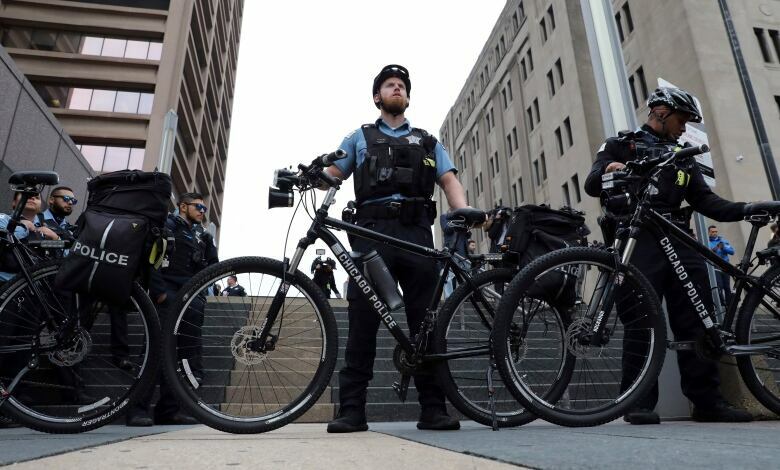 The video, some of the most graphic police footage to emerge in years, stoked outrage nationwide, and the high-stakes trial gripped the nation's third-largest city for nearly three years. The shooting also led to a federal government inquiry and calls to reform the Chicago Police Department. The second-degree verdict reflects the jury's finding that Van Dyke believed his life was in danger but that the belief was unreasonable. The jury also had the option of first degree-murder, a charge that required a finding that the shooting was unnecessary and unreasonable. One legal expert predicted that Van Dyke will be sentenced to no more than six years total. But because he's an officer, it will be "hard time," possibly spent in isolation, said Steve Greenberg, who has defended clients at more than 100 murder trials. One of Chicago's leading civil rights lawyers said the conviction sends a message to minority communities that the police reforms that began after the video became public were not just for show. Defence attorney Dan Herbert called Van Dyke "a sacrificial lamb" offered by political and community leaders "to save themselves." He said it was a "sad day for law enforcement" because the verdict tells officers they cannot do their jobs. A McDonald family spokesperson thanked prosecutors for pursuing a case that, he said, many black attorneys did not believe could be won. 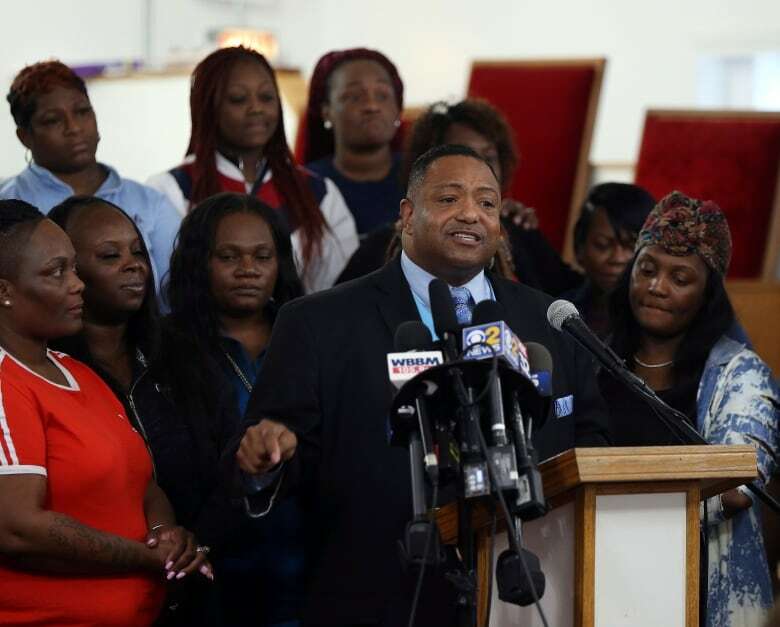 "I can't rejoice because this man is going to jail," said McDonald's uncle, Rev. Marvin Hunter. "I saw his wife and father. His wife and daughter didn't pull the trigger. I could see the pain in these people. It bothered me that they couldn't see the pain in us." The verdict was the latest chapter in a story that has made headlines since a judge ordered the release of the video in November 2015. The case put the city at the centre of the national conversation about police misconduct and excessive force. Officers were waiting for someone with a stun gun to use on the teenager when Van Dyke arrived, according to testimony and video. The video, played repeatedly at trial, showed Van Dyke shooting even after the 17-year-old was lying on the pavement. Prosecutors and defence attorneys argued over what the video actually proved. 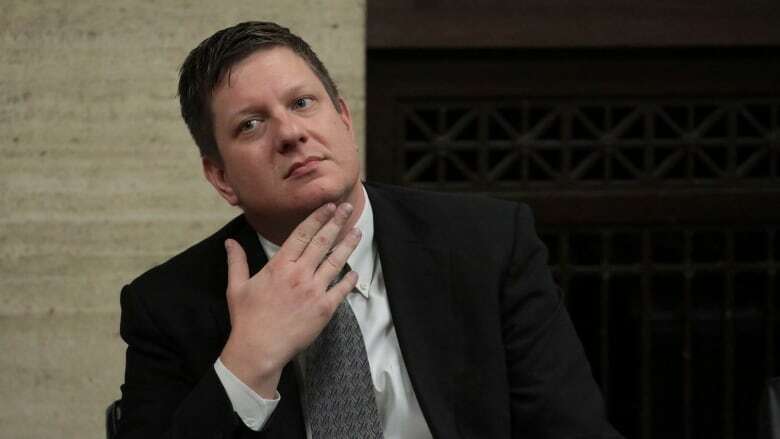 Prosecutor Jody Gleason noted during closing arguments that Van Dyke told detectives that McDonald raised the knife, that Van Dyke backpedaled and that McDonald tried to get up off the ground after being shot. His attorneys portrayed Van Dyke as being "scared' by the young man who he knew had already punctured a tire of a squad car with the knife. Van Dyke testified that the teen was advancing on him and ignoring his shouted orders to drop the knife. Van Dyke conceded that he stepped toward McDonald and not away, as Van Dyke had initially claimed. But the officer maintained the rest of his account, saying: "The video doesn't show my perspective." The officer had been on the force for 13 years when the shooting happened. According to a database that includes reports from 2002 to 2008 and 2011 until 2015, he was the subject of at least 20 citizen complaints — eight of which alleged excessive force. Though he was never disciplined, a jury did once award $350,000 US to a man who filed an excessive-force lawsuit against him. Van Dyke testified that McDonald was the first person he ever shot. To boost their contention that McDonald was dangerous, defence attorneys built a case against the teenager, who had been a ward of the state for most of his life and wound up in juvenile detention after an arrest for marijuana possession in January 2014. 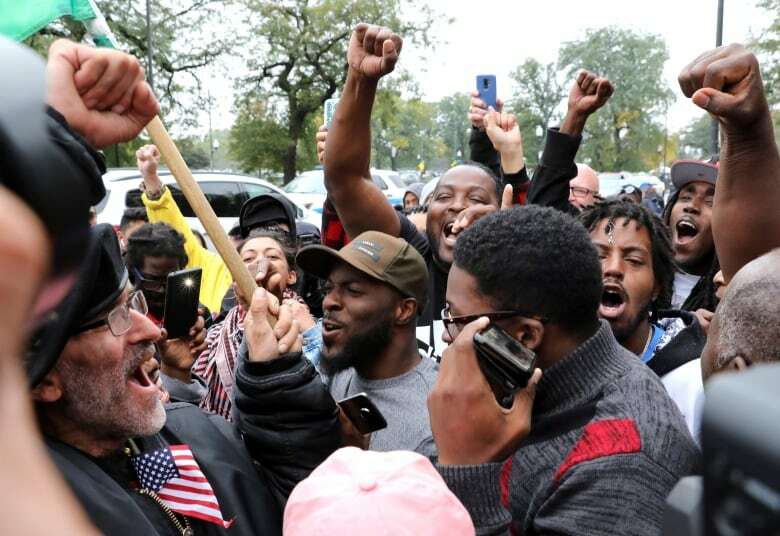 Among those testifying were several current or former employees at the Cook County Juvenile Temporary Detention Centre who said they had violent run-ins with McDonald. They also pointed to an autopsy that showed McDonald had the hallucinogenic drug PCP in his system. "What we do know, what he [Van Dyke] did see, was a black boy walking down the street... having audacity to ignore the police," McMahon said.